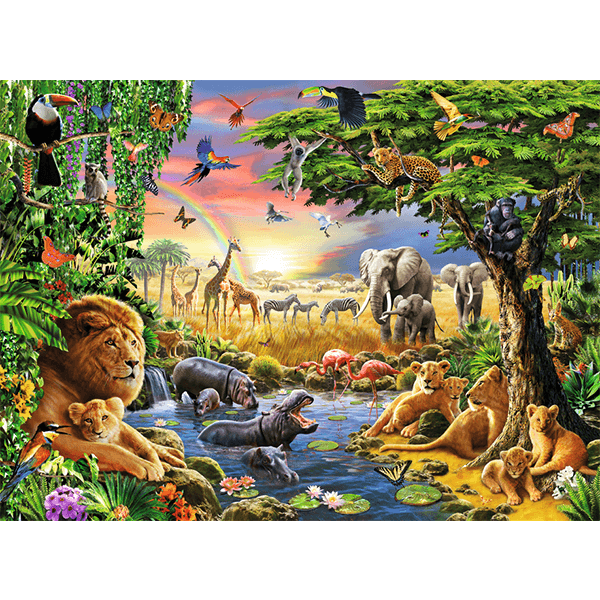 Shipping Dimensions: 13" x 10" x 2"
Join Your Friends At the Waterhole with this 300 Piece Puzzle! Ravensburger 300 piece Puzzles are a fun way to train recognition, logical thinking, patience, and hand-eye coordination. Puzzle difficulty when chosen correctly, strengthens your child's self esteem and short term memory while having fun! Such a beautiful puzzle! Thank you JR Toys! 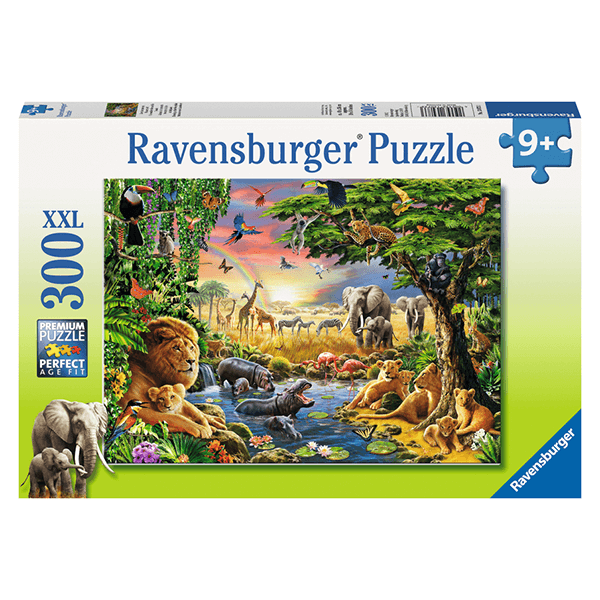 If You Liked Ravensburger Evening at the Waterhole 300 Piece Puzzle, See More Related Products Below!